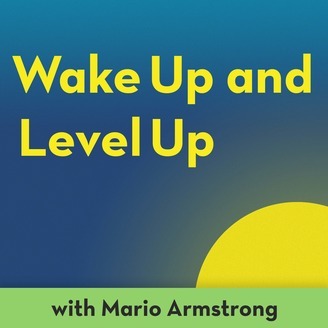 Wake Up and Level Up is your daily, 5 minute fix of inspiration to kickstart your day! Every morning, Emmy winner Mario Armstrong brings you actionable advice with the enthusiasm and direction you need to have your best possible day. Mario is a NBC TODAY show contributor, host of the Never Settle Show, entrepreneur and lifestyle mentor who went from being broke to winning Emmy awards. His daily bites of enthusiastic advice are derived from his past failures and successes. Mario teaches through transparency, sharing formulas, tips and new perspectives on topics like self-doubt, fear, success, mindfulness, personal branding, productivity, career and entrepreneurial advice. 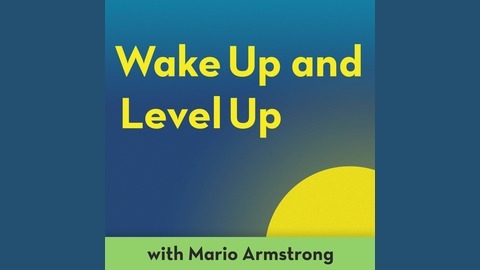 Wake Up and Level Up is your daily quick hit of motivation to position you for greater success and joy for the journey. Your worst critic can easily be yourself. If we said the nasty things we say about ourselves to someone else, we would never have friends! Mario has his moments and days where the negative self talk can spiral out of control. He shares his tricks to get back on track and what he says to himself when he catches the negative thoughts kicking in on today’s podcast.